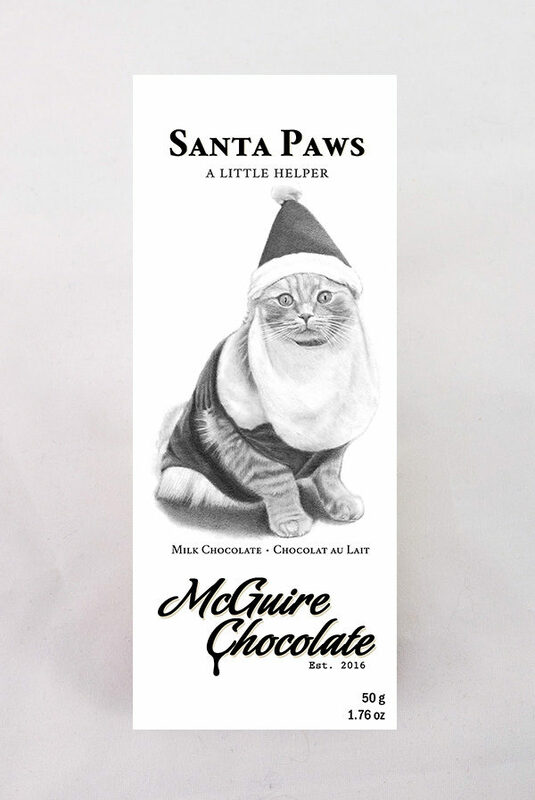 Santa Paws is here to help you through the holiday season. This is a single origin milk chocolate bar that captures the essence of Christmas. Spiced eggnog anyone? The image of Santa Paws was captured in pencil by Calgary artist Jim Little of Draw Borderless.